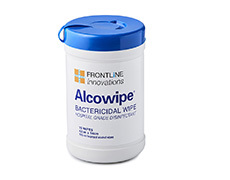 Frontline Innovations is dedicated to providing hospital grade sick bags available for bulk sale throughout Australia. Our sick bags are designed to contain a patient's vomit in the most hygienic way possible. These barf bags are for sale in bulk and are suitable for a range of different industries and facilities. Our wholesale emesis sick bags are easy to hold and simple to dispose to those who need them. Our bags contain a ‘can′t miss’ easy to use opening, which is easy to fit over the patient's mouth. 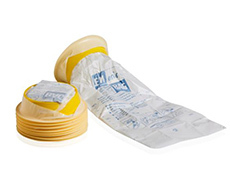 Our emesis bags are revolutionary in design and can be delivered throughout Australia. 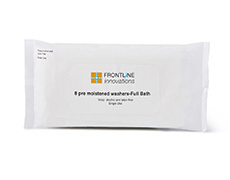 Frontline Innovation's sick bags are designed by an experienced paramedic who has had plenty of first-hand experience dealing with sick patients. They feature volume markings and a twistable seal lock to eliminate any possibility of spillage, and are constructed from a high quality recycled plastic. 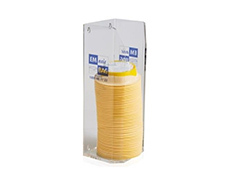 We also provide dispensers that allow for easy distribution in the event of a patient being sick. Our disposable vomit bags are perfect for vomiting patients and make a smart addition to the stock of any Australian hospital or even on buses, boats and in taxis for travel sickness that may occur during transit. Would you like to find out more about our medical grade, highly effective vomit bags? Or would you like to make an order for your facility? Then please do not hesitate to contact us. 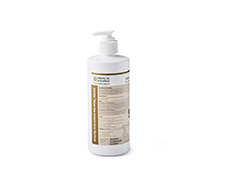 If you have any questions about our products our friendly staff will be happy to assist you. Please leave a message on our contact page and we will get back to you as soon as possible. 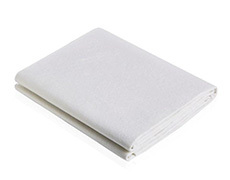 Feel free to have a look at our other range of products, including absorbents and spill kits.